I was recently faced with the daunting task of preparing my teacher tenure defense. I decided to use the iBooks Author format. One thing I love about iBooks author is that it provides such a powerful template to tell a story. 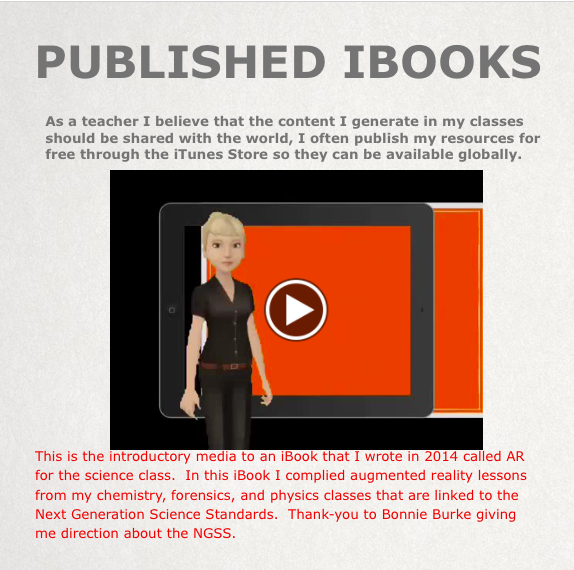 I was able to tell the story of my growth as a teacher against the iBooks Author backdrop. 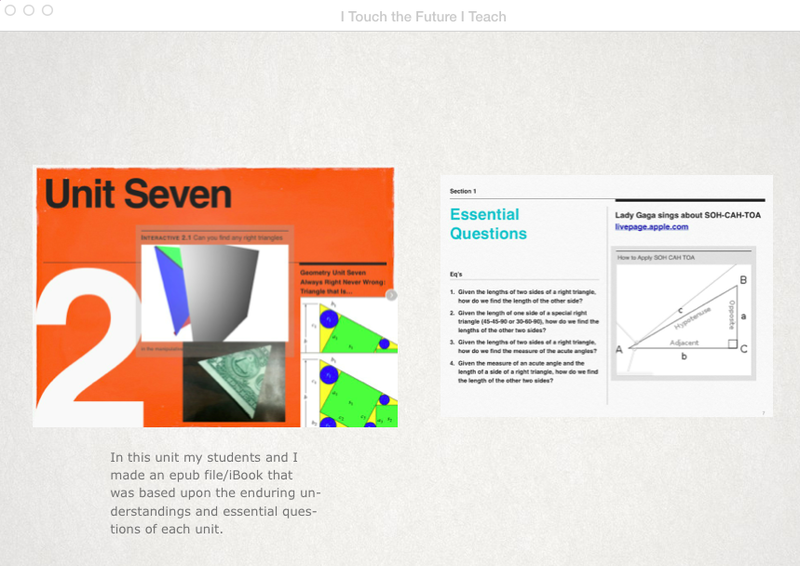 iBooks Author will be a great experience for anyone on the tenure panel to see. They can press on interactive widgets, watch videos of my students and I, view charts that show improved testing data. A picture is worth one thousand words. I could talk until I was blue in the face about how I love my craft but it would not be as powerful as seeing snapshots of my students and their project based learning. In iBooks I can drop in iMovies, student Keynotes, and dae widgets. Then there is a more authentic student voice within the narrative. Since I have a student-centered teaching style and philosophy I wanted the students to be front and center in the book. iBooks gave me the proper platform to articulate my craft as a teacher.